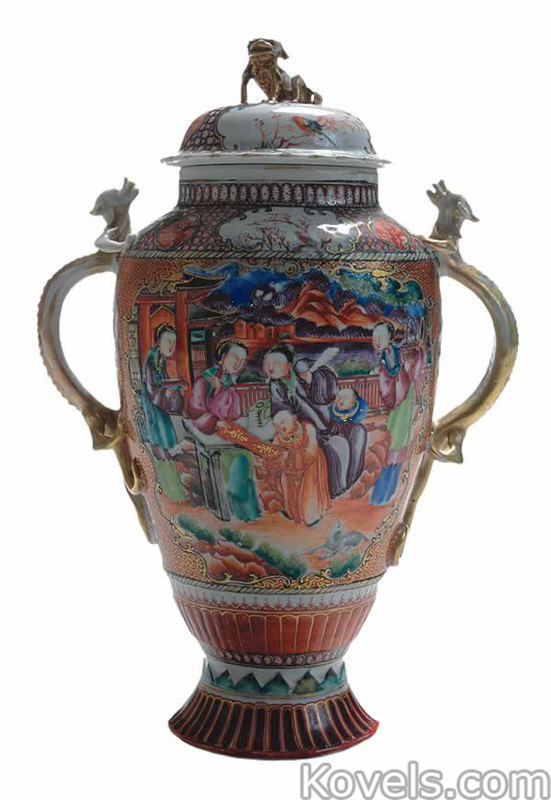 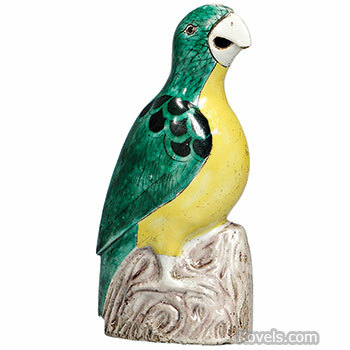 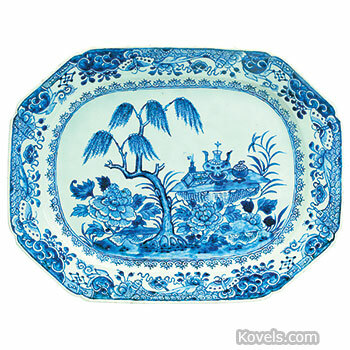 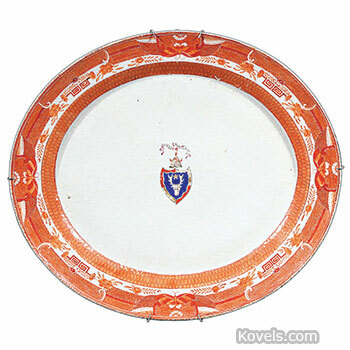 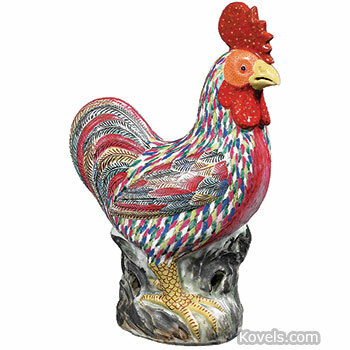 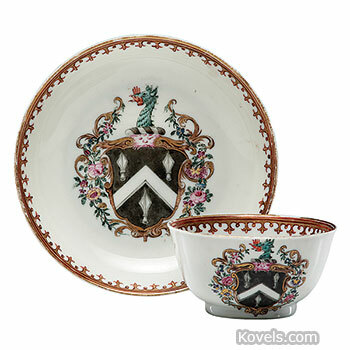 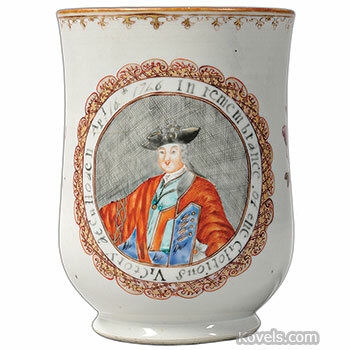 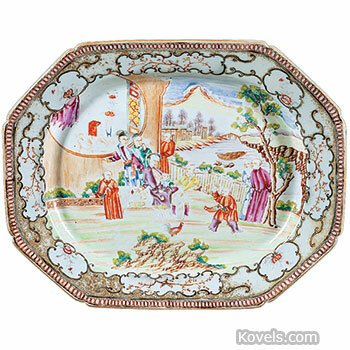 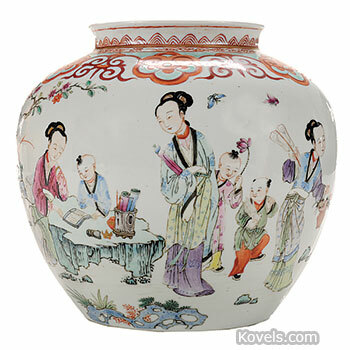 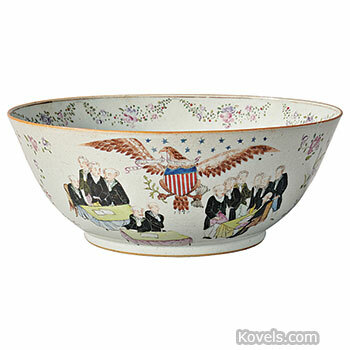 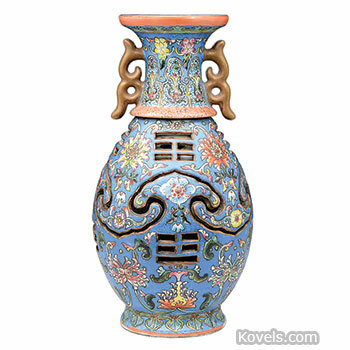 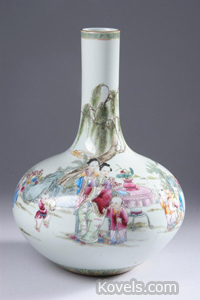 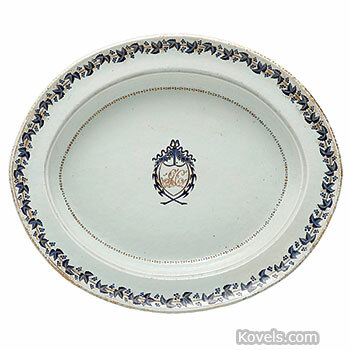 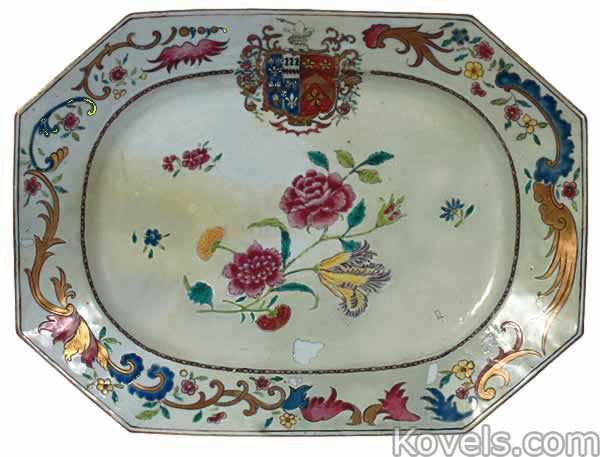 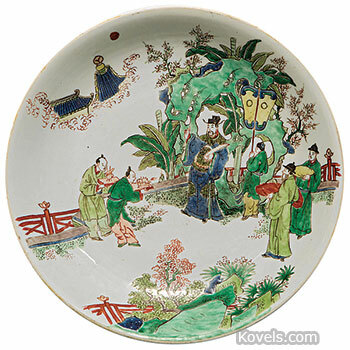 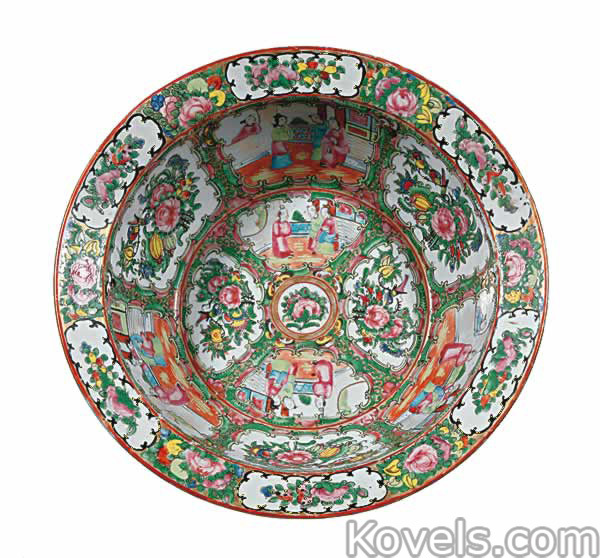 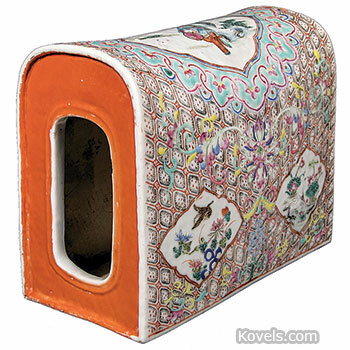 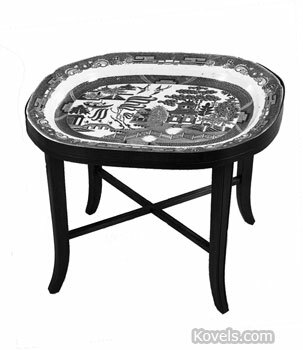 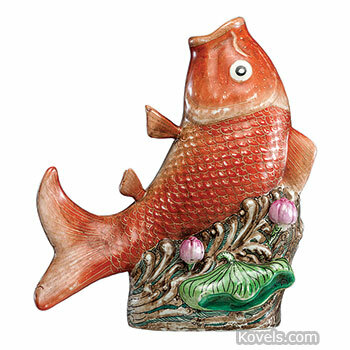 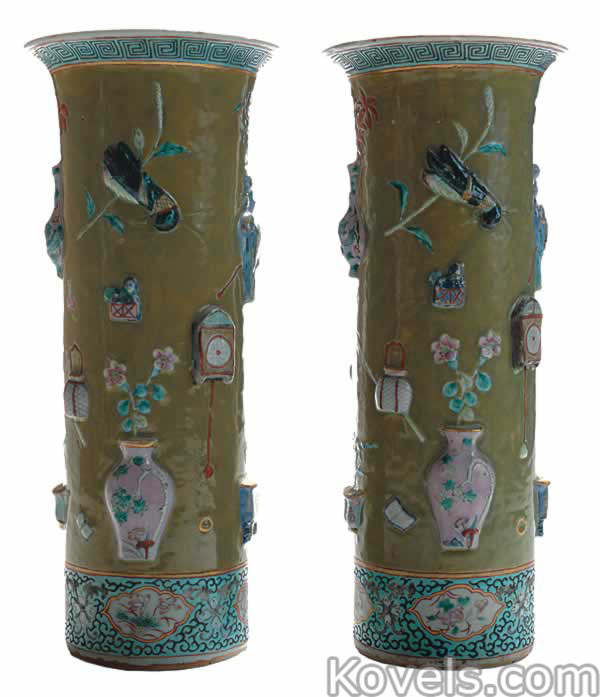 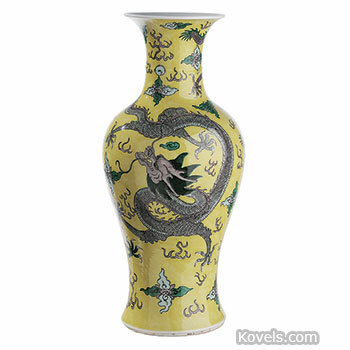 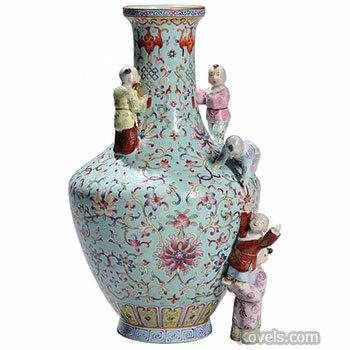 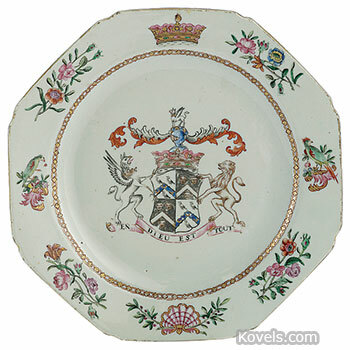 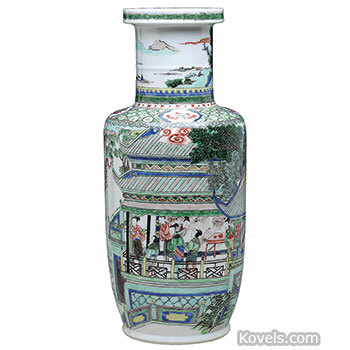 Chinese export porcelain comprises all the many kinds of porcelain made in China for export to America and Europe in the eighteenth, nineteenth, and twentieth centuries. 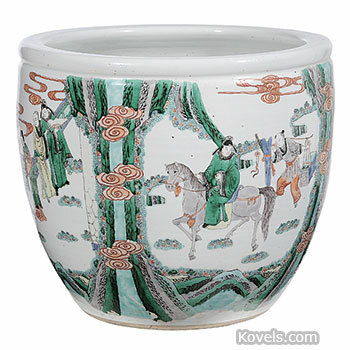 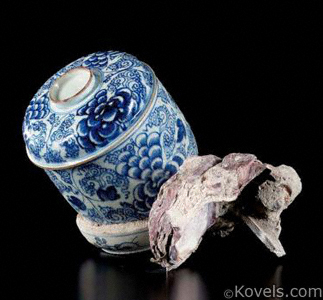 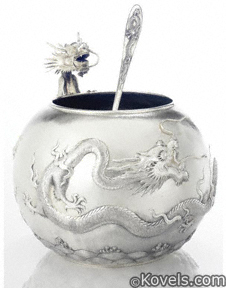 Marco Polo was the first to bring Chinese porcelain to Europe in the thirteenth century, when it was worth more than gold. 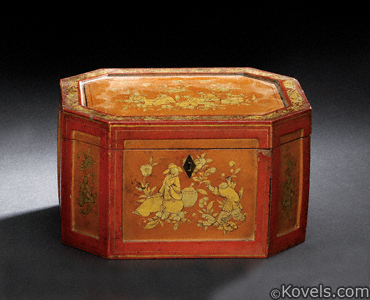 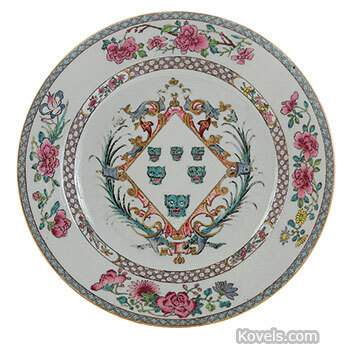 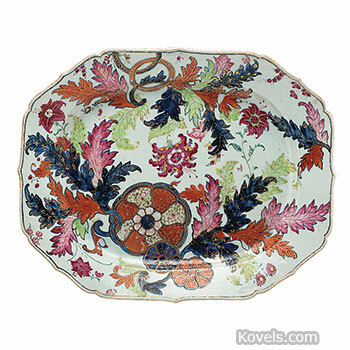 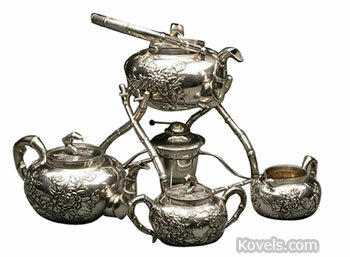 Other pieces may be listed under Canton, Celadon, Nanking, Rose Canton, Rose Mandarin, and Rose Medallion.